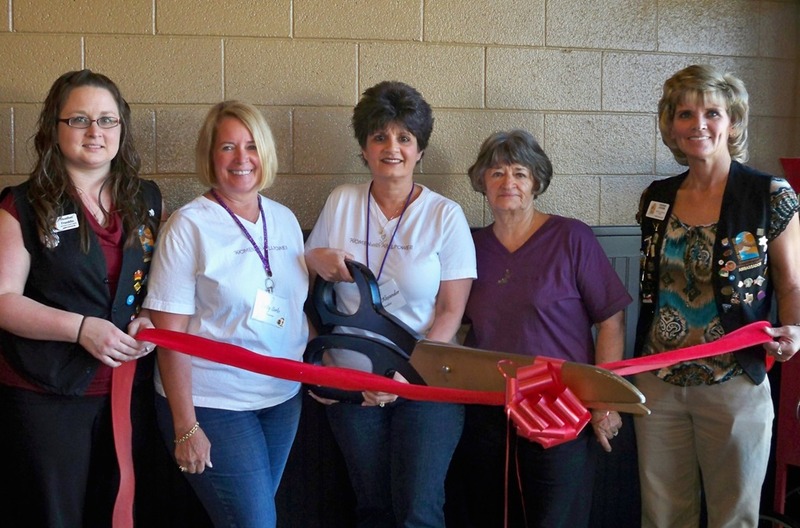 The Lake Havasu Area Chamber of Commerce Ambassadors held a ribbon cutting for Women with Willpower, Incorporated. Their mission is to provide financial assistance to local women in Lake Havasu City who are burdened with unexpected and immediate financial needs that are unable to be met elsewhere. All they ask in return is that the grant recipients repay by performing an act of kindness in our community. Their upcoming signature event is the Christmas Tree Raffle & Festival being held November 27th, 2011 from 1:00 p.m. to 4:00 p.m. at the Shugrue’s Bridgeview Room. On hand for the ribbon cutting are; Heather Franklin, Patty Serlis, Connie Alexander, Mary Schofield and Denise Johnk.